We sell quality cars for less. 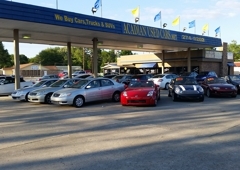 Acadian used cars largest Independent Family owned & operated used CAR dealership in baton rouge. LA 70815 225 272 8778. 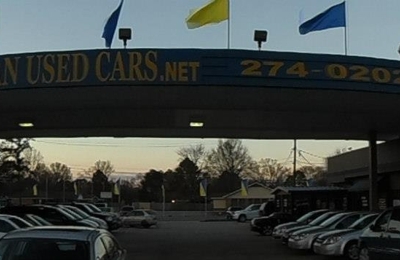 Acadian used cars dealer of certified used cars & trucks baton rouge. LA 70815 financing available. Bank & second chance finance. BUY here PAY here Also AVALIABLE. My nane is Mr and Mrs Taylor and we bought a car from Acadian Used cars. From the sales person to the owner it has been a blessed experience. We found a hard to find exclusive one of a kind deal and My red Z28. Great place to do business with. Recommend . my name is Henry Uhiara, i bought a 99 camaro z28. the week i bought it the transmission went out. Mike at acadian spent over $2000 to replace my transmission and other things free of charge on me. i highly recommend acadian to anyone. good folks at acadian. go see my boy Jacque Franklin. point and swift. Staff in general courteous. Great service! I would tell my best friend to definitely try this place out. On Feb 21, 2012, my car started making noise under the hood. Noise was so bad that I was not even sure I would make it to the dealership. The next morning I called tthe service department and the gentleman in charge CAME out to my home. He made some temporary repairs to get to the service area and an hour later, 'Bubba' had me on my way. No problems since then. I am holding out on the other star because I am waiting on some items that were suppose to been order weeks ago. But, overall, service was good. This is the 2nd car that I have brought from them (no major issues with the 1st one). Plan on trading up with them in the future. WARNING - VERY DISHONEST SALES!!! WARNING - VERY DISHONEST SALES!!! I purchased a vehicle from this used car dealership with a contract to repair it within 90 days. They did not honor the agreement (even with a contract). The owner Michael Corsentina made a lot of promises but would not even answer my calls after the sale. I was repeatedly lied to and ignored. When I filed a small claim, I found numerous “other” small claims filed under the same name. A lost cause! Do not take my word for it, or any “promises” made by the fast talking salesmen. PLEASE, please - don’t be fooled like I was. Do your own research before buying anything from this dealership.